Sebastian Liste was born in 1985 in Alicante, Spain. He obtained a Bachelor’s degree in Sociology at the UNED, and a Masters in the Arts in Photojournalism at the Autonomous University of Barcelona. 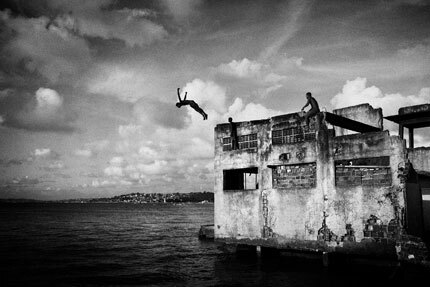 Liste’s extensive documentary work has focused on the lives of diverse communities around the world. He currently lives between Brazil and Spain. Liste has shown work internationally in numerous exhibitions and festivals including Visa Pour l´Image (France, 2012); Look3 Festival of the Photograph (USA, 2012); FotoLeggendo Festival (Italy, 2012); ImageSingulieres Festival (France, 2012); Galerie de l´Instant (France, 2012); Lumix Festival for Young Photojournalism (Germany, 2012); Noorderlicht Photo Festival (Netherlands, 2011); Angkor Photo Festival (Cambodia, 2011); The New York Photo Festival (USA, 2011); Speos Gallery (Paris, 2011); Ring Cube (Tokio, 2011); Maison des Arts du Grutli (Swizerland, 2011); Gallery 291 (San Francisco, 2011); Getty Images Gallery and Host Gallery (London, 2010).